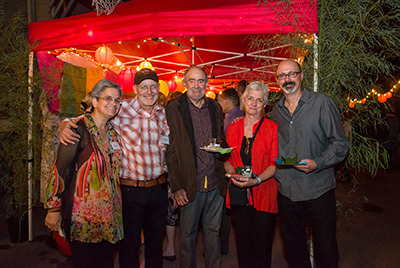 At the 2014 Spirit Awards, jazz drifted through the air while guests sipped wine from handcrafted ceramic cups and sample savory Indonesian appetizers as they immerse themselves in the evening’s artwork. 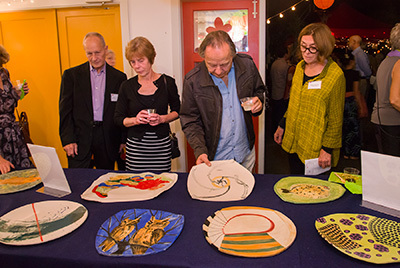 Platters painted by noted Boston-area artists for the silent auction gleamed from the arts center’s open doors, drawing guests inside for a closer look. Upstairs in the print studio, etched plates rolled through the printing press, and prints of Mitch Ryerson’s early ideas for outdoor play structures, delineated in soft grays, gently emerged ready for guests to take home. 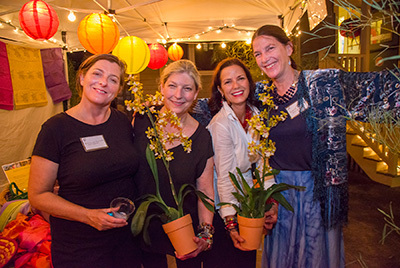 Thank you to our photographer L. Barry Hetherington.